I wanted to THANK YOU for everything you have done with your team for my Birthday. Sometimes a film comes along that captures the imagination and Avatar is just one. It also presented us with an exciting challenge to design a 25th birthday party on the theme of Avatar – and a good excuse to watch the film again! We created a fantastic and other-worldly tropical environment within our client’s home. 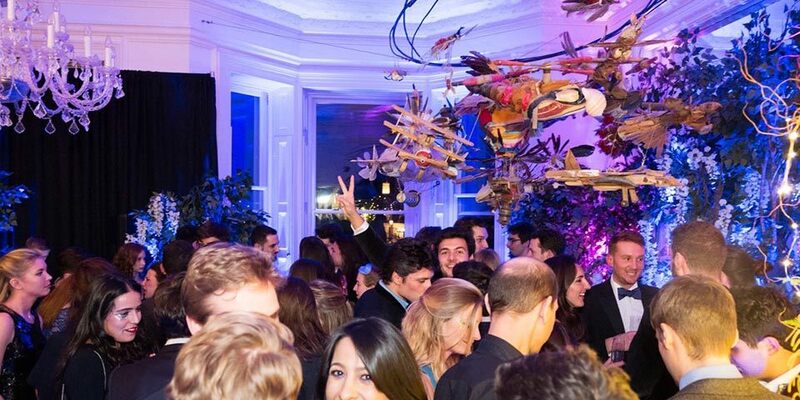 The party was based in the spacious living-room, but we wanted guests to experience something special from the moment they walked through the front door. The hallway was lined with black drapery and dressed with hanging ferns, ivy garlands, bark and moss – it drew people in and gave a tantalising clue to what was to come. Stepping into the living room, they found themselves immersed in our version of Pandora. 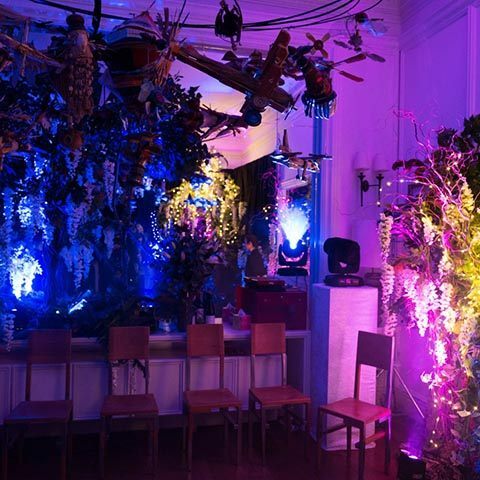 Having neutralised the walls with black drapery, we decorated the space with a plethora of trees and wonderfully imaginative floral displays. Lighting played an important part in adding atmosphere. 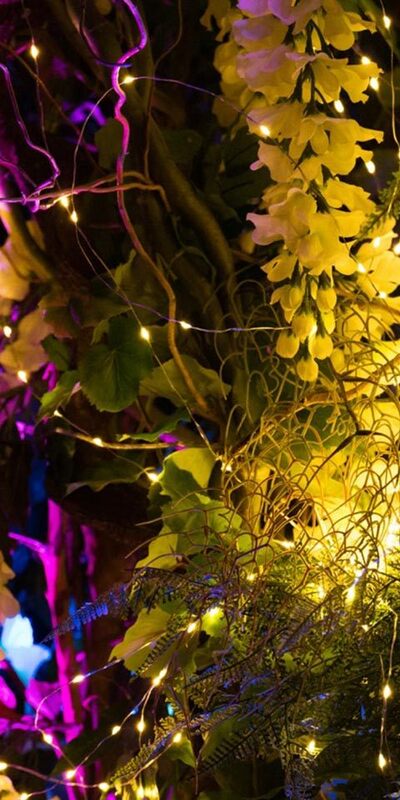 The trees were adorned with LED light strings, firefly light balls were placed in and around the foliage, and wash lights, pin lights and wireless uplighters were also used. 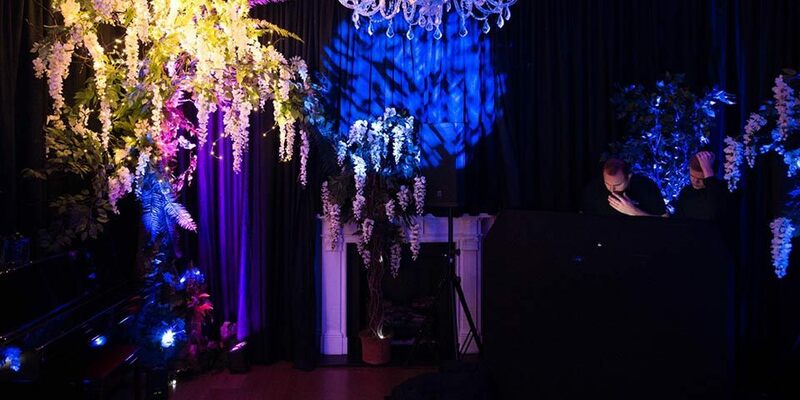 A DJ booth was installed, along with intelligent moving lights and haze machine and, with a top DJ booked, the party was an out-of-this-world experience!